It's been a few days now and we've had a chance to start digesting the draft specification for Junior Cycle History. I posted my initial thoughts about it on Monday evening, and after looking at it some more and discussing it with other teachers both at work has thrown light both the good and bad sides of the new course. My own personal view on it is that it ha a lot of potential, and if it's implemented well the subject can take on a new life. However, at this early stage, it's better to be cautious and so I've identified more challenges than opportunities. What do you think? The new History course will be Common Level, as well every other subject except for English, Irish and Maths. The prospect of so many subjects being examined at Common Level has drawn concern from teachers since it was first announced. I try not to be cynical, but it is difficult to see this as anything other than a cost-cutting measure. Differentiation is something all teachers have to work with, and every teacher has learned different approaches and strategies for differentiating classes since their training. While I can understand a desire to do away with the supposed segregation of students into different levels, the fact remains that no subject is for everyone, and not every student will have the same aptitude for each subject. Seeing as the "big three" subjects are being kept at Higher and Ordinary Level, there is obviously a recognition within the powers that be that differentiation is necessary, so why is it being thrown out for History and other subjects? This has been the most prevalent criticism I have heard of the new course, with nearly everyone I've spoken to voicing concern over it. However, if teachers want to challenge it then that challenge will have to be cross-curricular. If something will have a negative impact on one subject, that impact can travel to others - like cross-curricular dominoes. One of the criticisms of the Common Level move is that is a symptom of History being downgraded as a subject. History teachers have been reacting for years now to the possibility of History ending up with a lesser status in schools. A few years ago I wrote a piece advocating the importance of studying History, and I stand by everything I said then. The authors of the specification write very eloquently about the relevance of history in our lives, and why it's vital that students understand their place in it. If this is the NCCA's view, then it needs to be reflected in their actions. My English-teaching colleagues have, like so many of their colleagues across the country, been occasionally baffled and bewildered by the new Junior Cycle English course and the manner in which it's been rolled out. Confusion over the Classroom Based Assessments and what exactly merits a "merit" has been an unnecessary burden on teachers who have been trying their best to facilitate the new course specification while also ensuring that their students are able to achieve their best. It's understandable that History teachers might express some apprehension about how Junior Cycle History will be implemented and how our two Classroom Based Assessments will play out. Until we know more details about the structure of the course, all we can do for the time being is hope that the DES and the NCCA have learned from the "first day" setbacks that have befallen English. One of these Classroom Based Assessments requires students to research some aspect of their local history. This is a fantastic idea and long overdue, and if it's done well it can do a lot to enhance young people's knowledge of their local heritage. However, the danger with something like this is that, by 2030 say, teachers will end up dispassionately correcting the same kinds of project over and over. 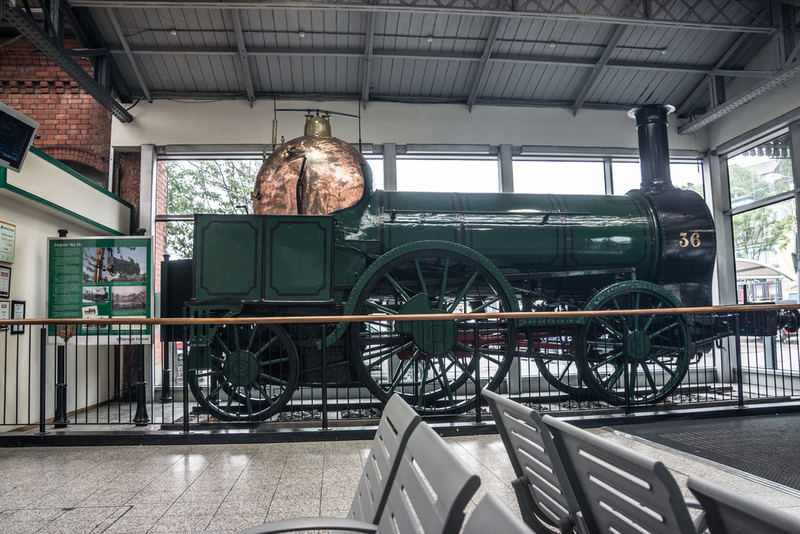 For instance, a student in Killorglin might do a project on the town's former railway, which would be quite interesting. The next year, another student does the same thing. The next year, another student chooses the same topic again. After all, even in the most historic towns, there are only so many things one can write about. It would be unfortunate if the potential of this particular assessment ended up going to waste. There's not really a lot the NCCA can do about it, but teachers can take some measures to try to keep things interesting without drawing too much work on themselves. If schools linked in with local history and heritage groups, libraries and museums, plenty of opportunities for variety can hopefully be found. It would be worthwhile to make these links anyway in order to explore the local history ourselves. Not only might be find interesting topics for our students to work on, we might also find links to topics within the course - you might work in a plantation town, or have a portal dolmen nearby. The other CBA, A Young Person in History, could potentially fall victim to the same problems. If this assessment is to be successful, then teachers must be supported with the right resources to help students understand the vast amount of possibilities for that choice, or else we end up with the same few over and over again. Strand One of the new course is all about developing students' research skills, both analytical critical, with the aim of helping them to see the broader context of events and people in history. Once again, this is a very welcome element which should have been introduced long ago, but it will only be successful if the details of this Strand properly support it. The last thing we need is something similar to our current "Work of the Historian" section in First Year, which teaches students the meaning of bias and propaganda, but doesn't really go into any more detail than that. We need a course that really does emphasise these key skills, and which allows for various exercises to help develop these at the same time that we make our way through the course's content with the students. The benefits of this are obvious for the study of History, and it also helps students develop important literary skills. Of course, this is still just a draft. A lot of specifics are as yet unknown, and will be shaped by the consultation process following the draft's publication. 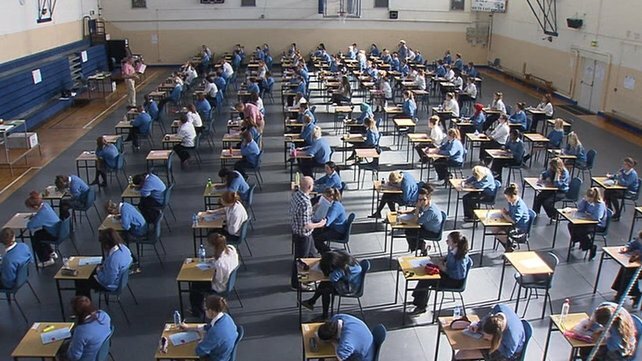 The Junior Cycle English Pre-Examination was held in schools across the country with no sample marking scheme to be found, leaving teachers unsure of how to correct the exams. We're resourceful, but we can't come up with marking schemes and standards individually. If the CBAs are to be successful, we will need specific guidelines for their operation and their assessment. The outgoing Junior Cert course focuses very heavily on men and male figures throughout history. This isn't the Department of Education's fault, of course. So much of history has been dominated by men. However, throughout various sections of the course, women still end up getting short shrift - only a handful of textbooks make any real mention of, say, what life was like for women in the Middle Ages. Sample People in History answers for hypothetical people (as in, people from named civilisations rather than actual individuals like a named explorer) tend to be written from a male point of view. There is only one section of curriculum dedicated solely to women, and that's a subsection of broader topic. 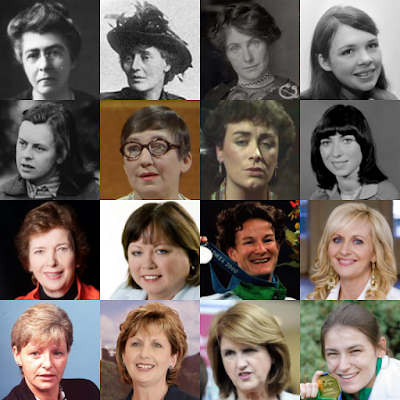 Prominent women in the last century of Irish history. The learning outcomes in the draft specification specifically mentions "the changing role of women in 20th century Ireland", which is certainly important, but that is the subsection mentioned above. We'll have to wait for a more detailed specification to make a full judgement on how much the lives and experiences of women will feature on this course, but luckily it does allow us opportunities to bring these experiences in by ourselves. The local history assessment is wide open in that regard, as is the Young Person in History, for which students have to research and make a presentation on the life and experiences of a young person in a historical setting of their choice. Needless to say, there's no reason girls can't be the focus of this assessment. Like I've said above, it's very important that students are shown the huge variety of choices they could make for this assessment - using the assessment to explore the lives and experiences of women in history is one avenue through which this could be done. What history teacher wouldn't want their own archive of historical sources? Encouraging students to go out and interview people who can tell them more about the past is something we should all be doing, and it's good to see that this element is featured in the specification. It might take a while but just consider what we can all do with a collection of interviews and other sources gathered by students over time - they can inform future lessons, shape future projects, and enhance the students' experience of learning not just the history of their local area, but of the whole world. The study of history can begin right in the home with a family tree. From there, students can learn more about how people lived in the area. From there, they can explore why circumstances in a certain time were as they were, and from there the broader context. Inevitably some sources and interview material will correspond with the course content. If all goes well, the archives will become one of the most valuable resources we'll have. 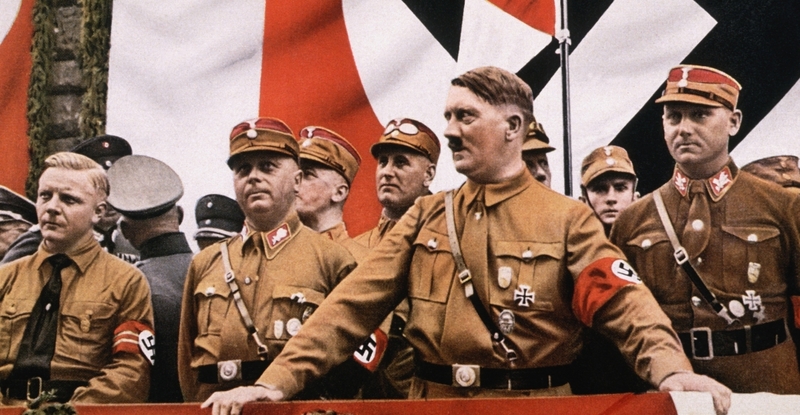 The existing Second Year syllabus heavily focuses on the causes and consequences of various moments in History. In this new course, students will be required to learn the causes and consequences of a genocide in modern history (the Holocaust being the given example). While learning the causes and consequences of events which took place centuries ago can be remote, perhap this element of the course might give students a better understanding of how certain events can come about and how they can affect future events. Given that we are living in a time of considerable change, this is a very important lesson for them to learn. The consultation survey for teachers and other parties to give their views on the specification is here. Whatever your concerns about Junior Cycle History, please do fill out that survey and voice them all. If, like me, you have a lot of hopes about it that you don't want to see dashed by poor implementation and supports, write them down too. Hopefully, when the revised specification is released, it will allay a lot of our concerns and will help us to understand in more detail the elements of the course and how it will be assessed. If everything falls into place, then we're set to have an interesting and engaging time doing what we do best. The draft specification for Junior Cycle History has been released by the NCCA. It will take time for History teachers to get a complete sense of what changes it will bring, and the long and sometimes complicated language of these documents can sometimes get in the way. For now I've put down in my own words my understanding of the new course and my thoughts on what it will mean and how it compares to the now decades old Junior Cert course. The status of History in Junior Cycle has been a frequent subject of conversation over the last few years, with recurring rumours and reports that History was to be downgraded as a subject. Whatever the future holds, the authors of the draft specifications made a very good case for the study of History, defining it not simply as the study of the past but the exploration of the human experience over time and how that experience has shaped the world we live in today. The big new keyword in the draft document is "the big picture", by which the authors mean the students' understanding of major patterns of change over time in a global context, coming to understand how and why history is characterised by 'eras' or 'ages'. A stated aim of the new course is to deepen the students' understanding of the human condition through the development of their historical empathy. It's easy to judge people in history by our modern day standards (something one of my lecturers once dismissed as "presentism") but people throughout history and the decisions they made can only really be understood in the context of the time and place they lived, and it is by those values that students should try to understand them. In order to help students achieve these aims, Junior Cycle History looks set to place a big emphasis on an area which got the short shrift in the old curriculum - key research skills and critical thinking. 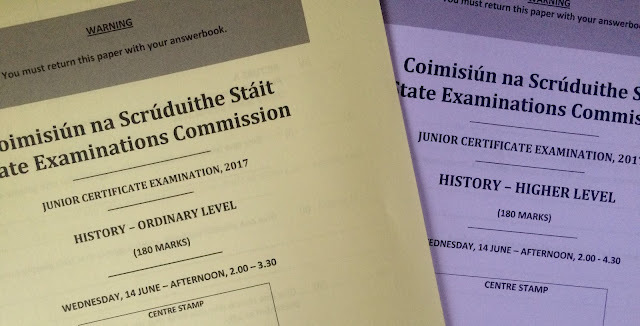 Teachers of Leaving Cert History will see right away that the course has been made to align with its senior cycle counterpart, though it's not yet clear if they will be studied as two distinctly separate strands as they are in Leaving Cert, or mixed as they have been in the old Junior Cert course. Strand One is interesting, however. Not intended to be a separate strand studied before the other two, it is instead meant to be studied in tandem with them, as the skills students should develop through it should inform their learning in Strands Two and Three. For years, First Years have learned about primary and secondary sources and the problems one can encounter when studying them. However, that treatment is brief and its relation to the rest of the course depends on the attentiveness of the textbook and the teacher. It is in this strand that historical empathy is featured, as is the importance of examining controversial or contested issues from more than one perspective - while maintaining a grounding in facts and evidence. As before, students will learn about bias and objectivity as well as assessing the importance and usefulness of sources, something that isn't properly done until Fifth Year under the current system. Students will also learn about the provisional nature of historical judgements and how they can sometimes be re-evaluated when new evidence comes along - to give a minor example, it was generally believed that the Titanic sank in one piece in 1912, despite some witness statements. It wasn't until the wreck was discovered in 1985 that we abandoned that idea. Chronological understanding is also emphasised as part of helping students develop "the big picture". Pages 23-26 of the draft specification outline some of the learning outcomes expected of students, using the three elements as categories, similar to how the Leaving Cert course arranges things in terms of Politics and Administration, Economy and Society and Culture and Religion. I won't copy and paste the outcomes here, but I will jot down my own speculations about the content of the course from reading through them. Demographic changes such as settlement (Ancient Ireland, the Normans), migration (the Famine), and plantation (that one speaks for itself). Rise of nationalism and unionism in early 20th century Ireland (no change from the current course, except it specifically mentions tracing the emergence of unionism, so perhaps a more in-depth exploration of unionism will feature, allowing a study of the Irish independence movement from different perspectives). In an example of an old feature being used to promote something new, there is also an emphasis on using archaeology to understand Irish history using local examples where appropriate (see Classroom Assessments below). Learning outcomes also include studies of individual Irish people who achieved distinction in various fields of human endeavour, such as culture. This seems similar to the current People in History format. Students must also examine how a movement or organisation contributed to historically significant change in Ireland and contribute to a class archive on family or local history by contributing to a repository of interviews, artefacts, family trees etc. New features explore certain aspects of modern history in more detail. Students will explore the causes, course and consequences of genocide in the history of Europe or the wider world (e.g. the Holocaust). They will reflect on the role of an organisation such as the UN or the EU in relation to human rights, peace and co-operation, and they will also debate the importance of the 1960s in a European and global context. Students will also illustrate changing patterns observed in the study of a theme relating to life and society across different time periods. The examples given include crime and punishment, food and drink, and fashion and appearance among others. These new features seem quite interesting and engaging. Creating a class archive allows History to be a properly collaborative class. Reflecting on the roles of supranational organisations and genocide can help develop the students' research skills and hone them for the Leaving Cert Research Study Report. The examination of themes over periods of time allow students to study history through the lens of their interests (sport, music, fashion etc.). Along with the local history study promoted in Strand Two, the new course comes across as far more immersive and engaging than the old one. This is, of course, just a draft. However, if I'm being honest it's a lot better than I was expecting. Given the ongoing difficulties surrounding the provision of CBAs and the roll-out of Junior Cycle English, I was wary about what shape Junior Cycle History would take. More than anything else I feared that the subject would be watered down, as some reports and rumours hinted it might be. However, the opposite seems to be the case. Between now and May 5th, teachers and other interested parties can take part in the consultation on the draft specification, which can be found here. This is a course with great potential, but so was CSPE when it was first envisioned, and that subject's twenty years of life have not turned out particularly well. In order for this new History course to be a success, the commitment to deepening the students' understanding of research and history has to be kept. The commitment to fostering critical thinking has to be kept, with the skills involved being developed at the same time that the students are learning new content. There are a lot of questions over this new course being Common Level (as will all other subjects except for English, Irish and Maths), but that's an argument for another day. The rollout of Junior Cycle English has been problematic, to say the least. We can only hope that lessons learned from that experience will make History's transition an easier one. Early on in the document, the authors say that "hearing and telling the stories of people who lived in the past helps students to understand more about how people live today, and can help students to learn from the past in thinking about how to address the problems of today." Given that our world is full of problems which have their roots in the past, this sentence is probably one of the most important in the entire document. Whatever shape our History course takes, it has to be a course from which students will genuinely learn and develop. It has to help them understand the world in which they live, and how it came to be the way it is. Hopefully, this new course will help us to do just that.